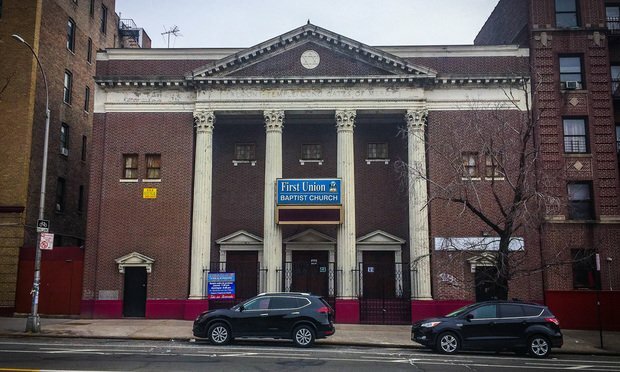 Reverend James Wilson has led the congregation at The First Union Baptist church for 45 years, of which 42 of them were spent in the sanctuary on Grand Concourse in Mount Hope. For the past decade, though, the church has had significant financial troubles, declaring bankruptcy in 2012 because it missed payments and therefore faced foreclosure. That's when the Legal Aid Society and local developer Thorobird Companies stepped in. They negotiated a settlement with the Church's lender to save the holy place by also adding 45 or more units of affordable housing to the property. "Here, affordable housing, which is also needed in this community, is a vehicle for saving a church, so it all made sense," said Thomas Campbell, the managing member of Thorobird Companies. For the regulars who attend mass, this Sunday's service meant a whole lot more than it normally does. "Been here for a very long time and this church is a foundation in my life and they're always here and through faith I'm here,” said one thankful churchgoer. Now, with help from Thorobird getting the church out of debt, congregants are hoping to spread the good word. The next step in the redevelopment of the church and the building of the affordable housing is to start planning and designing with the hopes to start construction by the end of the year.